Whole Foods came to be in 1980, when John Mackey, Craig Weller and Mark Skiles merged SaferWay, a company Mackey started in 1978, with Weller and Skiles’ Clarksville Natural Grocery. The result of this merger was a health food store called Whole Foods Market. You can find the Whole Foods application link below. Currently, the company has more than 400 supermarket locations across the United States, Canada and the United Kingdom. The company headquarters is in Austin, Texas, and the main procurement office is in Watsonville, California. The company employs nearly 60,000 people throughout the three countries, and it is a publicly traded company with stocks being sold on the NASDAQ as WFM. Whole Foods works hard to bring safe and healthy products to its customers. As a member of the supermarket industry, each store has full selection of organic produce, a grocery section full of natural products and ethically raised organic meat products. Many of the products in the stores are USDA-certified organic. While some of Whole Foods’ values are obvious, others aren’t so obvious. While it is clear that the company values bringing natural, organic and healthy food options to its customers, you might not know that the company thinks it is important to give back on both a local and global scale. The business also promotes sustainable agricultural practices. Job opportunities range from corporate careers to entry-level jobs. Corporate employment opportunities include marketing, information technology, purchasing, supply chain and development positions. Whole Foods careers in corporate may require candidates to either live in a certain area or be willing to move there. 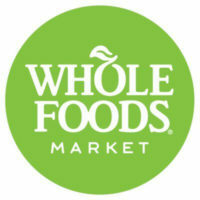 If you think you may be interested in corporate careers with the company, fill out a Whole Foods application today. In-store jobs include both managerial and entry-level jobs. Managerial positions include store manager, assistant manager and team leader. Hourly positions include team member, cashier, customer service associate and stocker. Hourly positions won’t require as much experience as the managerial positions at the store-level. There will also be more hourly positions than managerial positions per store. How old you have to be to work at Whole Foods? To start Whole Foods careers, you must be at least 16 years old. Stores are open from 8 a.m. to 10 p.m. every day. People working for the company might have to work outside regular business hours to get the store ready for customers. The chain offers its employees a list of benefits, including health insurance plans, life insurance, leaves of absence and emergency funds access. Other great benefits eligible employees have access to are retirement savings plans and a gainsharing plan. Employees also get a store discount to help them save the money they are earning. Cashier – Cashier positions are entry-level positions that applicants can get at 16 years old. Cashiers must be able to run registers and to basic math. Applicants should be able to maintain a positive attitude and be friendly to customers. Typically, cashiers make between $8 or $9 an hour when they first start. Stocker – Stockers are responsible for helping their team leader get products on the shelves for customers to purchase. These positions don’t usually require previous experience like teams leader jobs would. Like team leaders, stockers should be able to lift at least 50 pounds and help customers find products in the store. Team Leader – Responsibilities of the team leaders are strictly dependent upon the department, but all departments will require associates to clean the area, help customers and stock the area. Each team leader should be able to lift at least 50 pounds. Team leaders generally make between $10 and $15 an hour, depending on experience. Store Manager – Store managers work in conjunction with team leaders and assistant managers to make sure the entire store is run as efficiently as possible. Store managers will build schedules to make sure there are enough associates in the store at all times to deal with customer flow. Managers also set sales goals and push to meet them. Salary for managers tops out at $100,000. Can you tell me a little about yourself? Interviewers need to find out as much about potential employees as possible in a short amount of time. This question is designed to help them get to know you on a more personal level, but that doesn’t mean you shouldn’t tailor your answer around the specific job you applied for. Also, be sure to keep from rambling. Do you have previous retail experience? Not all jobs will require previous experience, but if you have the extra experience, it may just help you get the job you want. Be sure to detail all of your relevant experience to the interviewer. For what reasons did you apply for Whole Foods jobs? You obviously had reasons for applying at Whole Foods, or you wouldn’t have done so. Tell the interviewer why you thought you would like to work for the store and what you think you can add to it. What type of management style do you work best under? Everyone works better in different environments. If you can work without someone breathing down your neck, you will be a much stronger asset to the company. The interviewer is curious as to how you will fit in with the rest of the crew at the store. What do you think you can bring to our team? Each associate will have a unique perspective coming into the job and character traits that will add to the current team. If you have a special talent or trait that you think will be helpful to the company, be sure to talk about it. If you wish to apply for jobs at Whole Foods online, the company’s website will walk you through how to apply for Whole Foods online. The Whole Foods job application online is thorough, but be sure to include your resume. You can also browse a list of open Whole Foods jobs online and read a job description for each before you decide to apply online. If you would rather apply in-person, be aware that there is no printable application for Whole Foods. Just as there is no printable application form, there is no location on the website to click download application form, so you will have to go to a local store to request a free application. If you are really interested in starting a career with the company, you can easily fill out the online application that should be fill out as a direct application. Keep in mind that after you apply, it will take the company a few weeks to go through all the applications. If you fill out an application form and bring it in to the store, the process may be quicker. If you are called in for an interview, remember that you should make a good first impression on the hiring manager. The best way to do this is show up well-prepared for the interview by looking your very best and being ready to answer a few common interview questions. Show up in business casual dress.